Shares in Canada’s Stornoway Diamond Corp. (TSX:SWY) fell on Tuesday after it announced that it would halt operations at its Renard 65 open pit mine, in the Canadian province of Quebec. The company transitioned Renard, Quebec’s first diamond mine, primarily underground operations in August last year, but mining the pit had continued until now. Current ore stockpiles at Renard 65 are sufficient to maintain planned contribution to the process plant until the second quarter of 2020, the miner said. 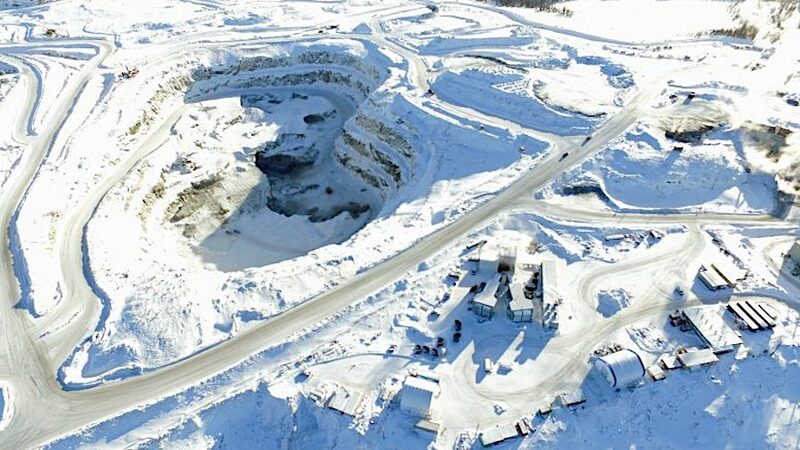 The Montreal-based diamond producer said that the current ore stockpiles at Renard 65 are sufficient to maintain its planned contribution to the process plant until the second quarter of 2020. It also said the move was not expected to impact revenue this year. Last year, however, Stornoway booked a non-cash impairment of C$83.2 million on the carrying value of the property, plant and equipment because of persistently low rough prices, a deferred income tax expense of $77.4 million and $227.1 million for the cost of goods sold. Shares in the company dropped as much as 2.4% on the news and were trading last at 10 Canadian cents. In the first three months of 2019, the company saw a slight upswing. It sold 429,506 carats for C$47 million at an average price of C$110 per carat (about $83). While Stornoway produces a variety of stones, it is more exposed to the low quality end of the market, and those diamonds have been selling for much less in the past six months than five years ago due to an unforeseen oversupply. As of December 2018, Renard had indicated resources of 3.7Mct in 8.7Mt grading 42.3 carats per hundred tonnes, excluding reserves. It also had 13Mct held in 23.4Mt at 55.8cpht inferred, with significant exploration upside.